Kristina Wilds created a Christian diet food program that zeroes in on listening to the Holy Spirit’s direction in your life when it comes to dieting and food choices. Known as the Shepherd’s Diet, the program aims to seek out biblical references and health through vehicles such as scripture in making the right choices when it comes to nutrition. The Shepherd’s Diet also promotes the dieter in eating healthy fat so that sluggishness from dieting is avoided. When people follow their desires, they end up overeating or indulging in food that is not healthy. A huge chunk of the program revolves around listening to God’s word over the body. After all, the reason behind weight gain is eating too much junk food and failing to exercise regularly. The diet is a seven-step weight loss system that teaches people healthy eating and the tendency for indulgence that corresponds to the seven deadly sins in the Bible. The goal of this Bible-based weight loss program is to rewire how people think about food. It instructs dieters to limit food intake by simply stopping when there is no more hunger left. While the program’s main focus is on a well-balanced nutrition, its disadvantage is that there is hardly any information about it as interested people need to purchase the system to find out more about it. Bible diet: A variation of the Shepherd’s Diet? While not much is known about the Shepherd’s Diet unless you are willing to pay the fee, there is another variation of a religious diet. And as people continue to find various kinds of food for weight loss, another form of a scripture-based diet comes in the form of a bible diet. Also known as the maker’s diet, this religious diet plan was developed by motivational speaker Jordan Rubin. He claims that the nutritional plan helped him cure Crohn’s disease, but no scientific evidence supports the link between following the Bible diet plan and Crohn’s disease management. The plan is based on the dietary principles of the Old Testament books of Deuteronomy and Leviticus. The diet consists of three phases: dieters are instructed to eliminate refined flours, sugars, grains, and starchy vegetables like corn, beets, and potatoes. The first phase lasts for 14 days. Meanwhile, the second phase also lasts 14 days with the same dietary restrictions and people who follow the diet can expect their weight loss to slow down. The third phase of the plan has no set time frame, but it permits the slow reintroduction of starchy vegetables and grains. Apart from the diet, the plan also puts heavy emphasis on spiritual practice. Dieters take part in prayers of thanks and repentance at the start and end of each day. 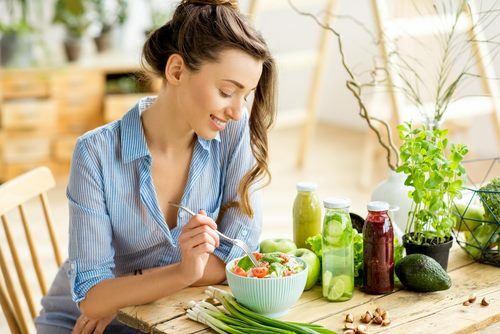 The plan also calls for a partial fast once a week wherein dieters can consume liquids such as water and fresh juices until dinner time rolls in. What about Stevia as a sweetner?? what about cattle, grass feed ? or corn feed. What about whole oats and whole grain rice?